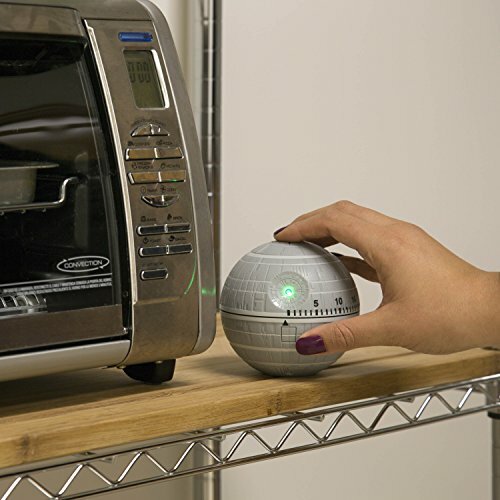 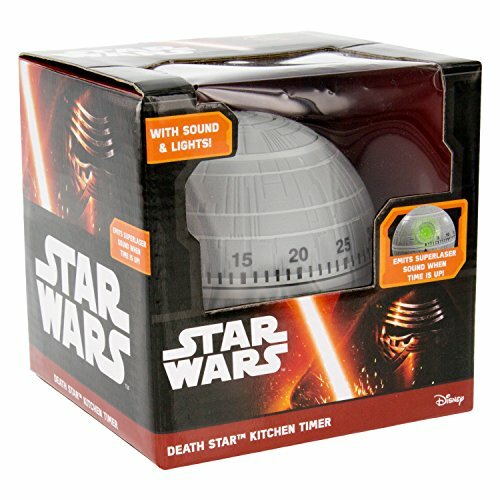 Star Wars Death Star Kitchen Timer works up to 60 minutes When time runs out, the timer emits a green superlaser and sound! 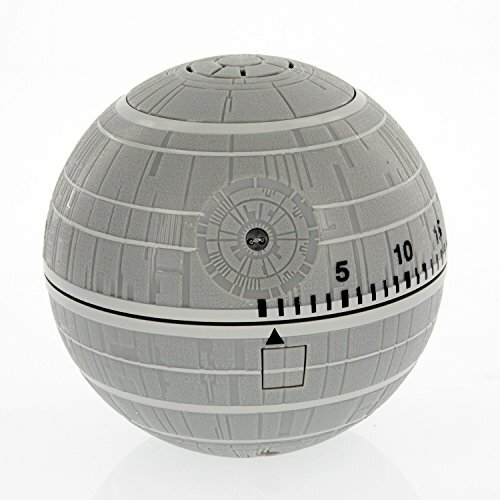 Perfect for a gift or to sit on the counter ready to strike your planetary baked goods To monitor any time below 5 minutes, wind the timer beyond the 15 minute mark and then back down to the desired minute(s). 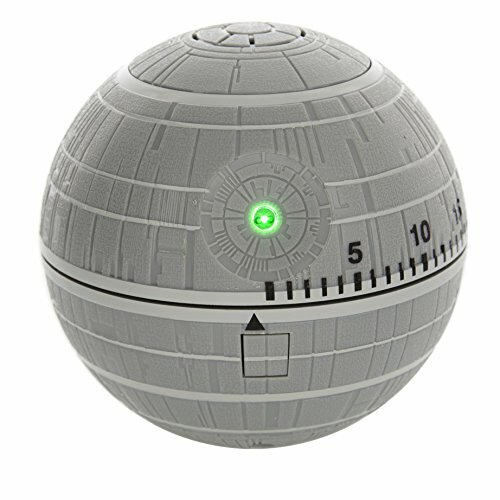 Please run timer through 60 minute cycle first to get it started before use--batteries included!